Limited Preschool Openings for this Fall. We are still accepting applications for our Preschool Program(must be age 3 by August 31st) for our 2014-2015 school year. Individual family tours may be arranged by calling the admissions office at (703) 549-5067, extension 115. Re: Limited Preschool Openings for this Fall. With before and after care it would cost ALMOST as much as my mortgage payment. Sadly that's not out of line with what it costs for any other preschool/daycare around here. 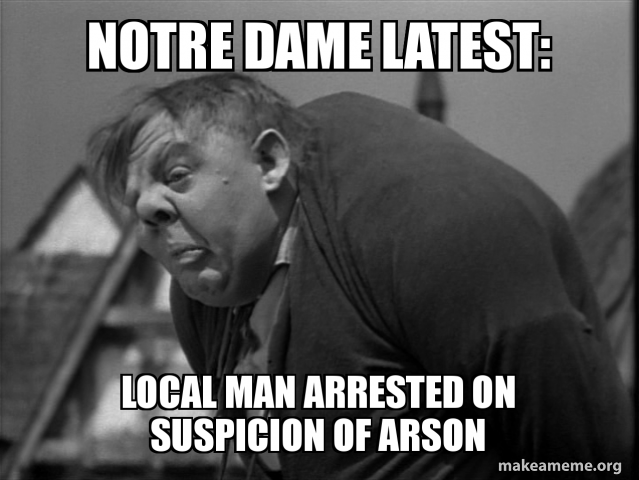 I'll take care o' yer little shits fer ye. We'll have all kinds o' games we'll learn, like "How to separate a gentleman from his watch and purse while he's with a whore," or "how to slide a knife between the ribs o' a competing paperboy." If yer little darlin' can't sleep during naptime, I'll give him a sip o' my gin...that'll knock him right out. Fully vetted and trained in CPR! > much as my mortgage payment. For one kid. Damn. > for any other preschool/daycare around here. Condoms are a lot cheaper. 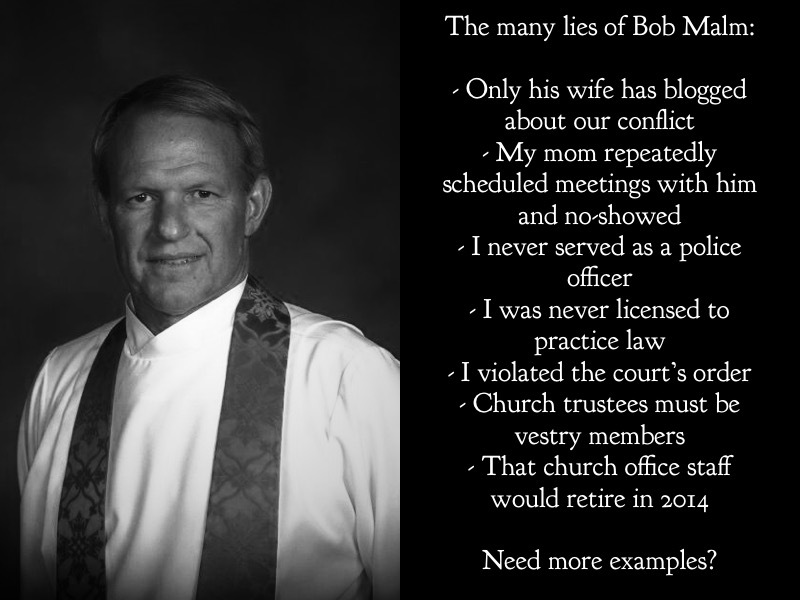 Check it out...my former priest, talking behind my back! From mothers womb to the classroom. 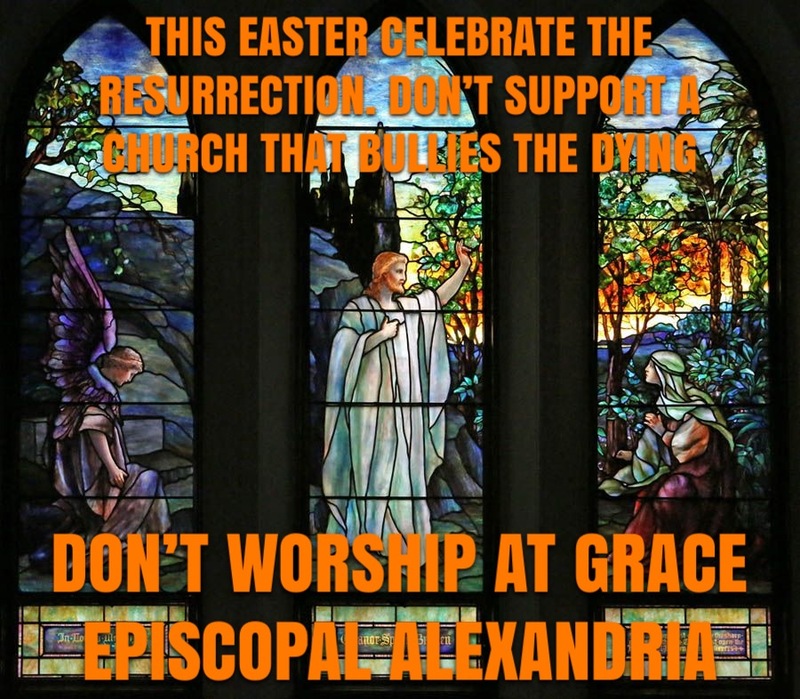 Church schools are the best. 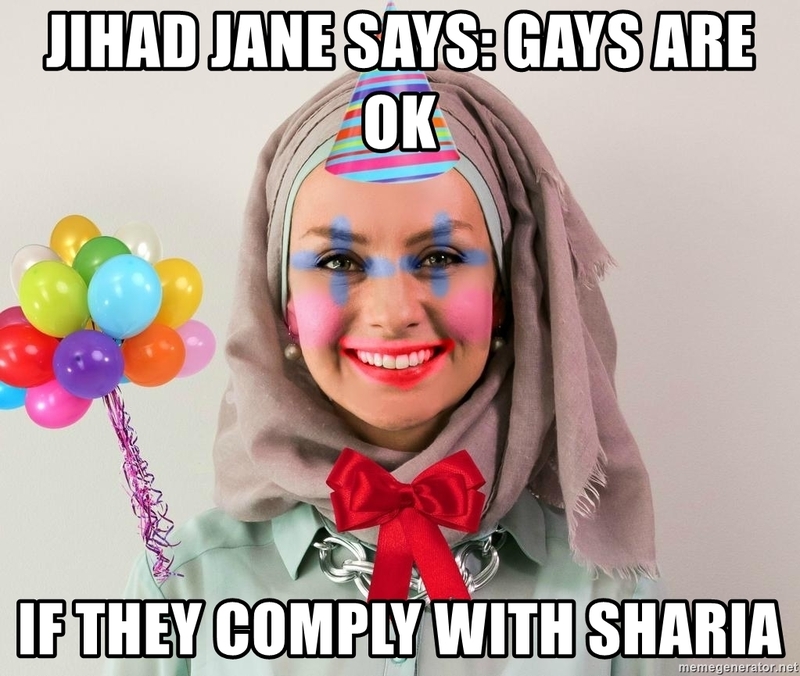 Parents say, “It could never happen HERE.” And Grace is really good hunting. 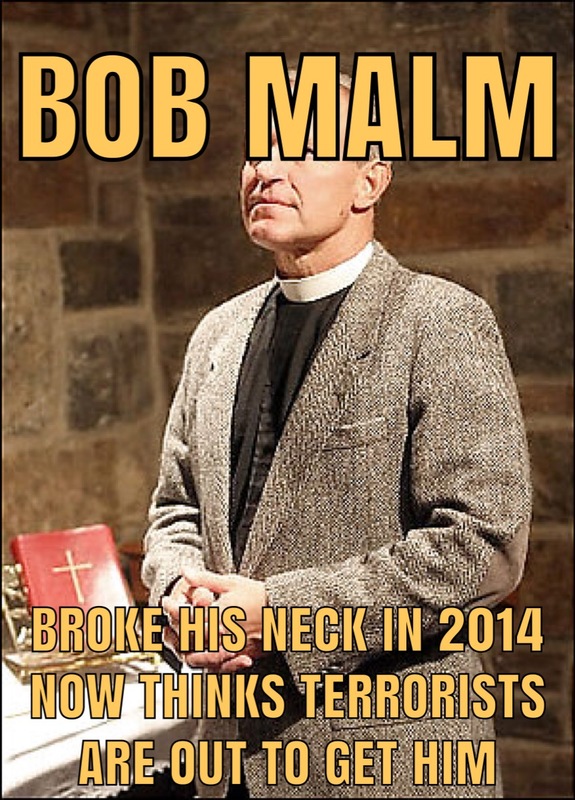 Malm’s been ignoring me for years! How many of you pretentious, BMW-driving idiots will send your kids to Grace? I could use some variety. Just the way I like ‘em. Rich and innocent. 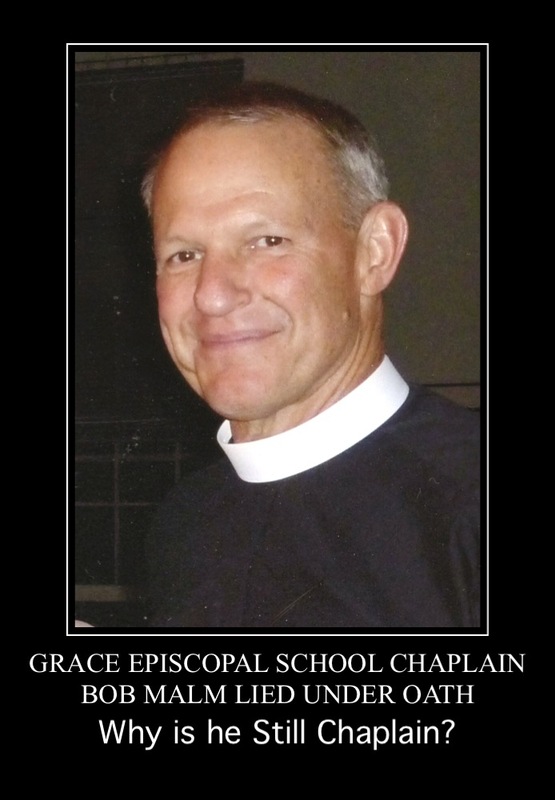 Grace Episcopal School Chaplain Bob Malm. 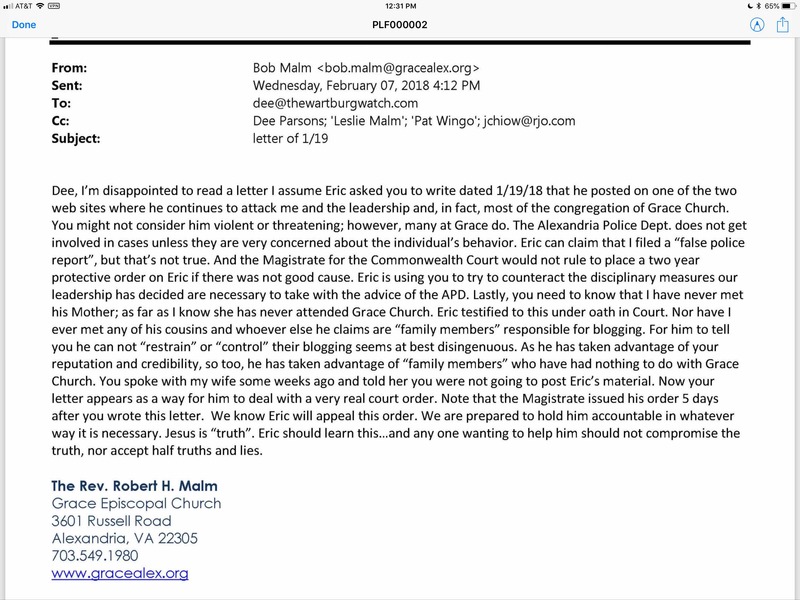 Lies under oath. Wants to teach your kids. 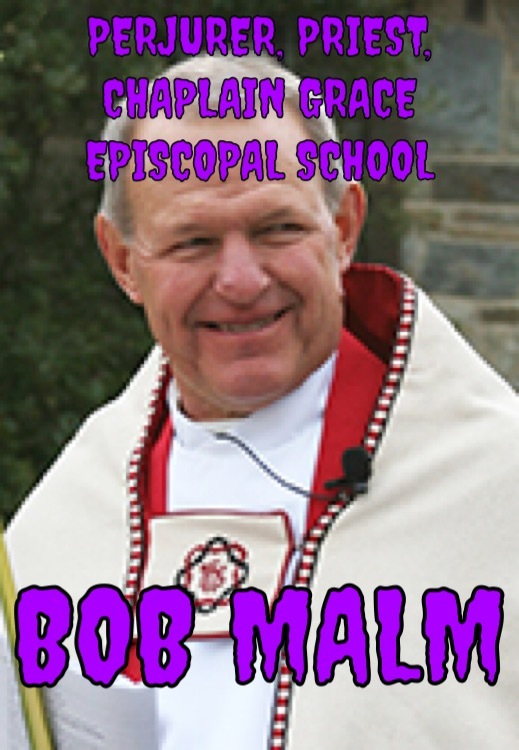 Grace Episcopal School chaplain Bob Malm claims the school is threatened by terrorists. Not somewhere I’d send kids! 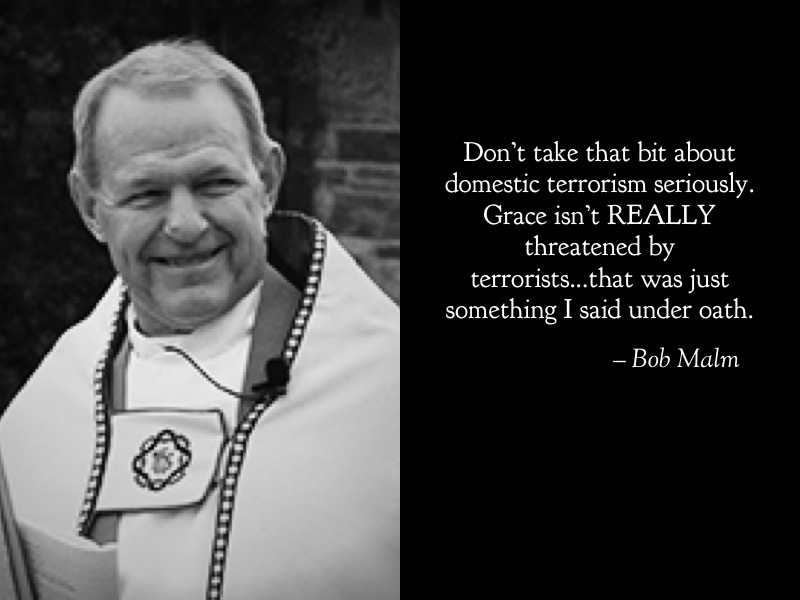 Grace Episcopal School chaplain Bob Malm claims the place is threatened by domestic terrorists. 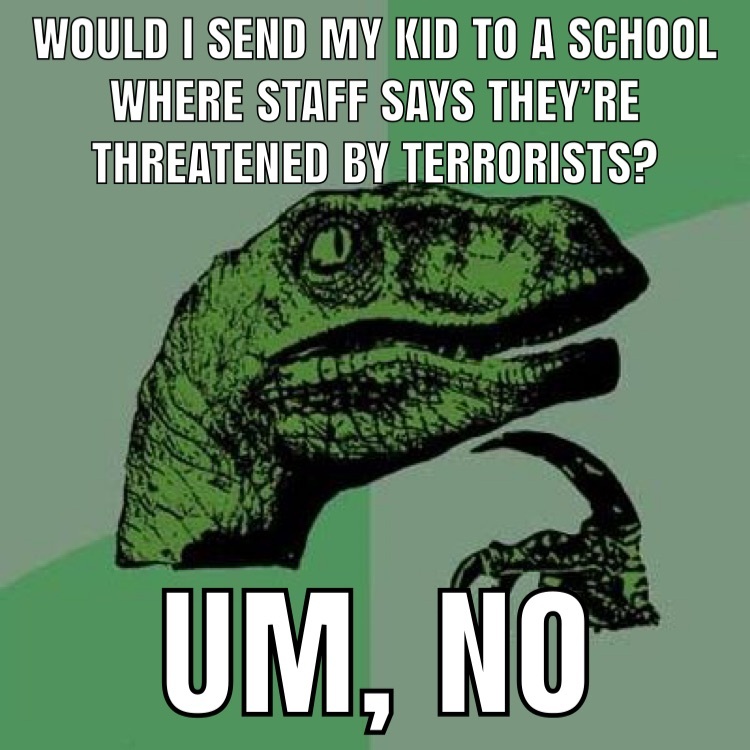 Leslie Malm says school may not be safe. 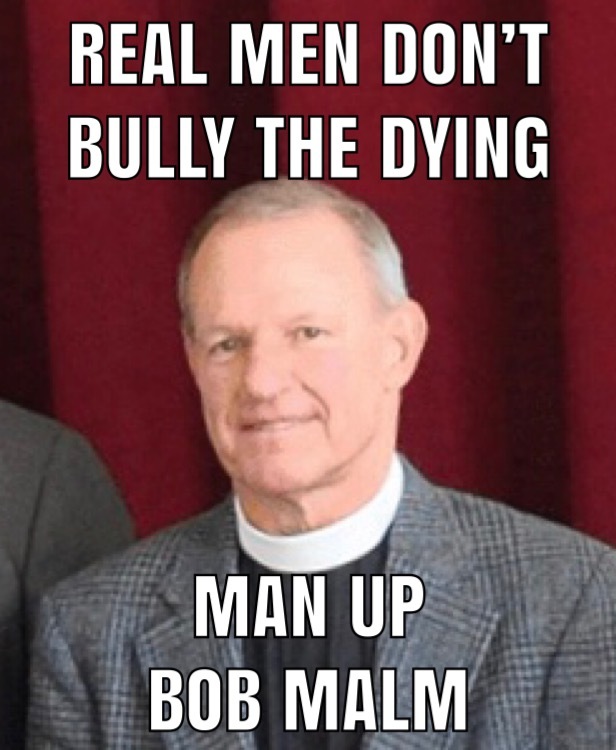 Man up Bob. Time to grow a pair. Let it go, you psycho! Go see a psychiatrist or something. You are obsessed and it’s not healthy! 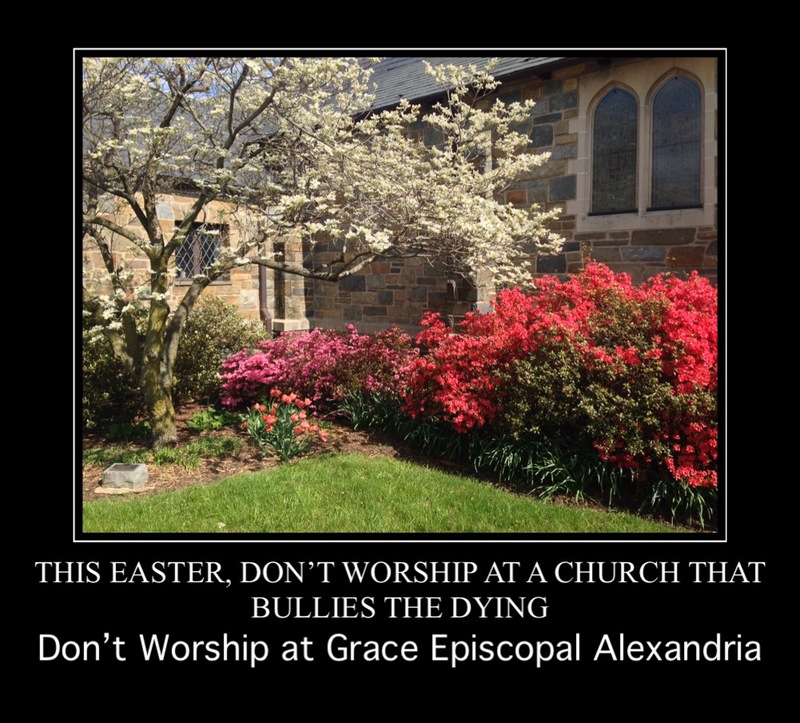 Join Grace Episcopal Church this Holy Week!